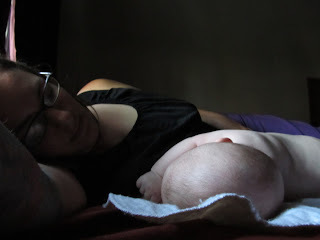 Today, Joella from Fine and Fair is gracing me with a post share from her blog that explains Attachment Parenting in a way I can understand! That sounds pretty balanced, right? Pretty attainable? Pretty adaptable to the lives of most parents? But wait, what about the part where you MUST have an un-medicated birth at home? What about the part where you MUST exclusively breast feed? Or the part where you MUST use cloth diapers? 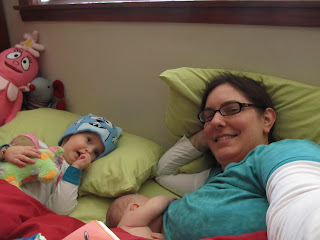 Or the part where you MUST sleep in bed with your baby? Or the part where you MUST invest in an arsenal of slings, wraps, and carriers? Or the part where you MUST make your own organic baby food and sew all of your own clothes? Or the part where you CANNOT leave your baby in the care of anyone other than the mother and therefore CANNOT work outside of the home? Where are those parts of AP? Those are not parts of AP. It is true that many AP mothers give birth at home and breast feed. It is true that many AP parents use slings and carriers. It is true that many AP families share a family bed. It is true that many AP families embrace more "natural" choices like cloth diapers or organic food. It is also true that many AP families have a stay at home parent. These are some of the specific tools and choices available that work for some families and help them to put these philosophies into practice. They are not the only way. You can give birth in a hospital (even with medication or surgically) and be an AP parent. You can feed your baby formula and be an AP parent. 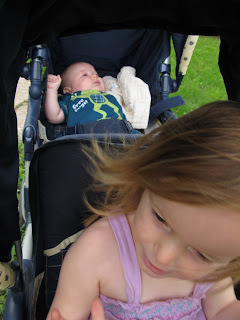 You can own a stroller and be an AP parent. Your baby can sleep in a crib, and even in a separate room from you, and you can be an AP parent. You can use disposable diapers. You can work outside of the home. You can even *gasp* be a man and be an AP parent. Am I watering down Attachment Parenting? Am I trying to make the label so free and easy that every parent can call themselves AP? No. 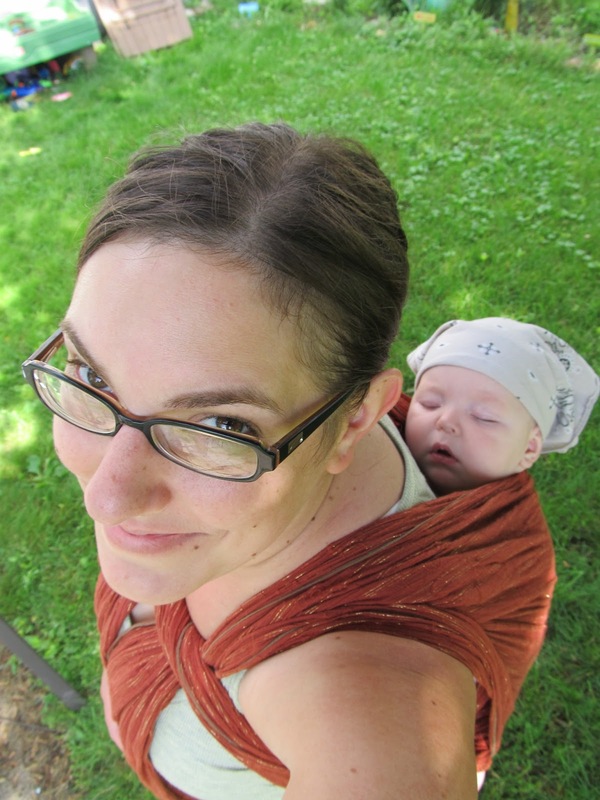 There are certainly some choices that are not consistent with Attachment Parenting. Bottle propping? Not loving or respectful. Spanking? Not sensitive or positive. Putting your baby to bed in a place where you can't hear their cries and not checking them until morning? Not emotionally safe sleep. Staying home every second of every day, to the detriment of your personal interests, social life, or desired career? Not balanced. Not everyone is an AP parent. But if you take a balanced approach to family life, if you strive to respond sensitively and positively to your children, if you seek to consistently meet their physical and emotional needs in a loving and respectful way, then you just might be more AP than you think. every time I try to post a comment, I want to log in with MY blog ID and it won't let me and it erases my comment. AP's basis for me was always: responsiveness. Responsiveness to your child, your family and yourself. Not necessarily in that order either. But always responding to the needs of each and all and attempting to connect on a fundamental level that allows true understanding to happen. The overriding problem I've always had (and the reason why I never tout AP on any of my blogs even though I am an AP parent) is the AP preachers I've known. All the parents I know are AP but most are fairly quiet about it. But as with any group, there's a few who are outspoken and feel the need to dictate to others how AP works. They always seem to get really caught up in the methods they use for AP rather than the underlying philosophy of AP. 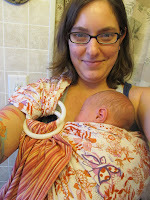 I've been berated for not using a sling or babycarrier, choosing to supplement with a bottle, feeding my baby milk before the second year and for trying numerous sleep methods beyond co-sleeping. Not one of those methods I used - considered not AP by the preachers - were things I particularly recommend for anyone else, they were actually AP for my situation: there were problems and I attempted to respond to those problems over and over with different approaches to find what worked for us. I suppose I could have felt vindicated to find out my child has special issues that "regular" AP doesn't apply to but I didn't. Because it should matter if you know that, what should matter is that I was responding to the needs of my child, my family and myself. 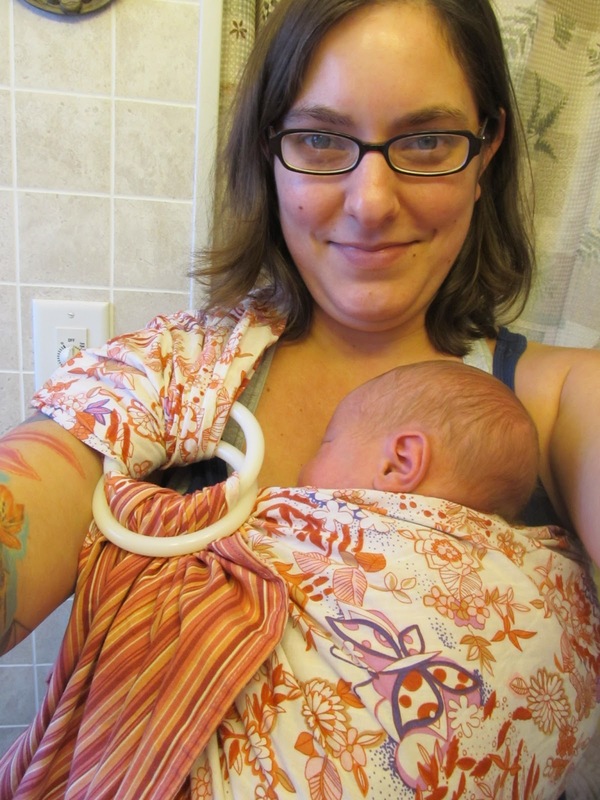 I can't babywrap because my back isn't "normal" - I responded to myself. I wanted to supplement because she couldn't seem to eat enough and her father wanted to spend some alone time with her - I responded to the family. I gave her milk before her second year because she had gas issues and yogurt really helped and she loved it - I responded to my child. But because those methods aren't sanctioned AP I was given plenty of grief. Luckily I am a four time mom, I'm used to fighting for my choices, but with other parents, I shouldn't have to. Especially when it comes to AP. I find it sadly ironic that some of the most non-judgemental parents are people who do not tout AP at all.